Every person has special days in their life that they remember and mark from year to year, such as birthdays and anniversaries. Judaism also marks dates on an annual cycle such as holidays and yahrtzeit/hilulas (the date of a person’s death). Today marks the magnificent ninth anniversary of Jewish Treats. Why are Jewish Treats important? In this age of infinite information, people have the ability to instantly investigate everything under the sun. At the same time, the process of Jewish transmission has been greatly diminished and basic Jewish education is not the same as it was even 25 years ago. Learning about Judaism through Jewish Treats offers readers the opportunity to connect, or reconnect, with their history, to be inspired by their heritage, to become familiar and comfortable with ideas and rituals that seemed foreign and to gain an even greater sense of Jewish pride. Some of you who are reading this now have been reading Jewish Treats since the beginning, while others are more recent subscribers. Today, on Jewish Treats' ninth anniversary, we make two requests: 1: Share Jewish Treats with your Jewish friends, family and co-workers and keep our family growing, and 2: Let us hear from you more often, as we love to hear from our readers about the individual Treats and to write about your interests. Thank you, dear readers, for nine wonderful years! Set up your Shabbat candles early in the day. “Children of Israel,” an often used title for the Jewish people, is a name defined by the familial relationship of the descendants of Abraham and Sarah. This familial relationship (which even DNA studies have confirmed) plays a strong role in both Jewish identity and Jewish life in general. For instance, one of the common forms of addressing God in Jewish prayer is “Eh’loh’haynu vay’lo’hay avotaynu,” our God and God of our ancestors. At the same time, the Jewish people have always welcomed sincere converts and permitted them (after a detailed process of learning and commitment) to join the ”family.” The question now arises: Is Abraham the great-grandfather of converts also? Genetically, perhaps not. Spiritually, however, there is no doubt. Rabbi Zerikan said: Rabbi Z'eera asked, Does not “our fathers” refer to Abraham, Isaac and Jacob? ...It has been taught in the name of Rabbi Judah:...because it says ‘”you shall be the father of a multitude of nations (Genesis 17:4)” In the past you [would have been] the father of Aramea [those of Aram, Abraham’s birthplace] but from now on you shall be the father of all nations (Jerusalem Talmud Bikkurim, Halacha 4). When a person chooses to become a Jew, and goes through the necessary conversion process, he/she is considered spiritually reborn. This rebirth is physically manifested by immersion in the mikveh (ritual pool). At the same time that a person completes the conversion process, he/she chooses a Jewish name by which he/she will be known for all matters Jewish. To that name is attached “ben/bat Avraham Avinu v’Sarah Eemaynu” – the son/daughter of Abraham our father and Sarah our mother. This Treat was last posted on August 26, 2010. Don't ask invasive questions about a person's background. “All life is sacred!” It’s an important statement that is frequently bandied about for political causes. The “Sanctity of life,” however, is a very real and very tangible concept in Jewish life and law, and this is not just limited to pikuach nefesh (saving a life). In Torah law, a person is greatly affected by being in physical contact with or even near a dead body. “One who touches the corpse of any human being shall be impure seven days...If a person dies in a tent, any one who comes into the tent and everything that is in the tent shall be impure” (Numbers 19:11,14). The Torah’s concept of pure and impure suffers in translation because it sounds like good verses bad. The status of pure or impure, however, does not necessarily have to do with behavior (though it can). For example, a person can become impure while fulfilling an important mitzvah, such as someone involved in a chevra kadisha (Jewish burial society) and is perparing a body for burial. Since the destruction of the Temple and the Jewish dispersion, every Jew has the same status (impure) and cannot be purified (which requires a special ceremony that can no longer be performed). However, the fact remains that Judaism is very conscious of the concept of the sanctity of life and the finality of death. One of the more practical applications of this connection to both death and impurity is washing hands after visiting a cemetery. This is done once outside the graveyard area and requires water to be poured over each hand from a cup three times, alternating hands. This washing ritual affects a basic level of recognizing the impurity of having been surrounded by death. Find out what you can do to help your local Jewish burial society. It might be surprising to learn that the first Jewish “state” was not Israel. It might be more surprising to find out that the first attempt to create an autonomous Jewish region occurred in the Soviet Union, which also went to great lengths to suppress Judaism. The region, which still exists today, although the Jewish community there is quite small, is known as the Jewish Autonomous Oblast. It’s capital is the city of Birobidzhan. The idea of a “state” for the Jewish people originated with Lenin, who felt that the Jews might assimilate better if they felt like all other nations, and all other Soviet nationalities had their own autonomous regions. These “republics,” as they were known, allowed their nationalities to use their own language and organize their own organizations. In the case of the Jewish Autonomous Oblast, the language was Yiddish, which was to be taught in the schools there as well as used for publications. The land dedicated for the Jewish Autonomous Oblast was in southern Siberia. It was hoped that the plan would encourage population resettlement and thus strengthen the border in the area. It being part of Siberia, the climate and land conditions were less than hospitable. As the program went into effect around 1928, the government (now lead by Stalin) made an active campaign to promote Jewish migration to Birobidzhan. They dropped pamphlets, published novels and even produced a Yiddish film called Seekers of Happiness. And tens of thousands of Jews did respond. Some American Jewish Communists even came. For a while things even looked hopeful. They managed a Yiddish theater, newspapers and Yiddish was taught in school. However, the actual living conditions and lack of economic and social support were discouraging and a large majority left. While Stalin had initially supported the plan, the Jewish Autonomous Oblast was greatly affected by his murderous purges of the 1940s. It never recovered, and, today, fewer than 1,000 Jews are believed to live in the area even as it retains its Soviet-era Jewish designation. Ask your parents or closest "guardian" for advice on major life decisions. On June 26, 1934, Congress passed the Federal Credit Union Act, allowing for the creation of what is now known as CUNA (Credit Union National Association). While there were many factors that led to this Act, one of its most influential advocates was Boston businessman Edward Albert Filene (1860 - 1937). The name Filene is most familiar to people in connection with the retail chain established by his father William (who changed his name from Wilhem Katz). Edward Filene, along with his younger brother Lincoln, took over the running of the business in the early 1890s and were responsible for numerous retail innovations - most notably their Automatic Bargain Basement store at which clothes purchased as seconds (overstock, warehouse clearance, etc) were priced down every six days. They also ran their business with a wide range of uncommon-at-the-time employee benefits. In 1907, not long after the Filenes chain was acquired by Federated Department Store, Filene decided to become a world traveler. While visiting India, he became intrigued with the Agricultural Cooperative Banks that were becoming popular in the country's small villages. With government support, these cooperatives offered small business loans that would normally be denied by larger banks. He came home and began researching the principles involved and discovered that his interest was widely shared, particularly among a large group of fellow descendants of German Jews (who are said to have wanted to banish the concept of the Jew as userer). The support in his home state was so strong that the Massachussetts Credit Union Association opened in 1914. Filene traveled from state to state speaking about credit unions. When CUNA was established in 1935, Filene, through the Twentieth Century Fund foundation, appropriated $25,000 to support it. Throughout his career, Filene had found ways to make the lives of those less fortunate just a little better (affordable quality clothes, employee benefits), and he strongly believed that credit unions would offer a chance at success to a whole new segment of American society. If you have the ability to lend money to someone in need, don't hesitate. As proclaimed by the United Nations, June 23rd is “Public Service Day.” In honor of this designation, today’s Jewish Treat introduces Sherut Le’umi, the national Public Service system of the State of Israel. Since the state’s founding in 1948, Israel has had a national draft for all citizens 18 years or older. The fact that the Israeli Defense Force included both genders, however, was highly problematic for more traditionally observant Israelis. Life in the military was a great deviation from the standards of modesty with which their daughters were raised. Both the Ashkenazi and Sephardi Chief Rabbis at the time (Rabbi Isaac Herzog and Rabbi Benzion Uziel, respectively) actively opposed female military conscription. In 1953, a positive alternative was proposed: The establishment of a compulsory national service corps for those young women who had obtained a religious exemption from military service. While the idea was accepted, the actual program did not come into existence until 1971. At first, the program was specific to young women from religious homes, but, in time, the program expanded to include others: conscientious objectors, those with medical exemptions, etc., as well as Arab youth who wished to serve the country but not be part of the Israeli Defense Force. While serving in Sherut Le’umi, these young women and men receive housing, a small living stipend, classes/programming and a number of other small benefits. They work in a wide variety of areas, including schools, hospitals, nursing homes, absorption centers, and more. Many of the Arab participants are allowed to work within their own community. As has been found in other countries with similar programs, Sherut Le’umi offers several important benefits to the country beyond resolving the disagreement about female conscription. The B’nei Le’umi (“Children of Service”) often provide assistance to underprivileged citizens. Additionally, the participants receive potential vocational experience while learning about “giving back” and about the diversity of their country. Choose something special to wear in honor of the double celebration of Shabbat and Rosh Chodesh. Hot summer days and dramatic Olympic competitions bring to mind the joy of swimming. But swimming is more than a sport or a relaxing pastime; swimming is a skill that is specifically mentioned in the Talmud. Circumcision and pidyon haben are specific religious rituals that intimately connect a child to the Jewish people. Teaching a child Torah is teaching him/her the rules of life--the paths of morality, and the laws of justice. More than that, teaching a child Torah gives the child tools for spiritual growth. Finding a spouse and learning a craft are the foundations for successful adulthood. Starting a family and having a means of supporting a family are the fundamental building blocks of civilization. But why swimming? Our rabbis maintain that the instruction to teach a child to swim is to be taken both literally and figuratively. To teach a child to “swim” really means teaching a child to survive in a world that abounds with spiritual and physical dangers. Raising a child means preparing him/her to face all of the challenges and joys of life, be they spiritual, physical or societal. This Treat was published on August 2, 2012. 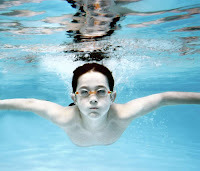 If you did not learn to swim as a child, make arrangements to do so this summer. It is not uncommon to hear facetious comments about the fractious nature of the Jewish people and how challenging it is to be a community leader. Many have heard the quip, “Two Jews, three opinions!” Even a cursory familiarity with Jewish history going back to Biblical times leads to the conclusion that this is not a new thing. Being a Jewish leader has never been easy, and even the most famous leaders in Jewish history faced derision, unrest and mutiny from the people. The first king of Israel, Saul, was actually appointed under contentious circumstances after the Israelites grumbled to the prophet Samuel and demanded a king like all the other nations. Samuel, with God’s approval and guidance, appointed Saul to be king. No sooner had he been anointed, however, when “certain base fellows said: 'How shall this man save us?' And they despised him, and brought him no present. But he was as one that held his peace” (I Samuel 10:27). Not long thereafter, the Ammonites led an attack against a group of Israelites, sending an ultimatum to the entire nation. When Saul heard their threat, he immediately rallied soldiers from all of Israel, laying down a hard line and demanding that they come and fight. After the fight, when the people demanded to know which men had spoken out so disrespectfully toward him, Saul magnanimously declared “‘There shall not a man be put to death this day; for today God has brought deliverance in Israel.’ Then Samuel said to the people: ‘Come and let us go to Gilgal, and renew the kingdom there’” (ibid 11:13-14). In his first act of leadership, King Saul ignored his detractors and focused on bringing the nation together to defend their fellow Israelites. Be careful of the words you speak about others, even public figures. Popular culture refers to one’s wedding as “The Big Day,” and it is, indeed, the beginning of an entirely new stage in one’s life. According to Jewish tradition, “there are three people whose iniquities are forgiven...[the third is] one who marries” (commentary of Rashi on Genesis 36:3). Because the wedding day is considered a day of renewal on which one receives atonement, many communities have customs for the bride and groom that are similar to Yom Kippur. For this reason, it is customary in many communities for the bride and groom to fast from waking in the morning until after the chuppah (the wedding canopy, used to refer to the whole ceremony). However, there are numerous days on which fasting is not permitted, and the bride and groom may eat. These are Rosh Chodesh* (new month), Isru Chag (the day after a festival), Chanukah, Purim, Shushan Purim and the 15th of the months of Av and Shevat (Tu B’Av and Tu B’Shevat). It is interesting to note that another reason given for the pre-wedding fast is to prevent having an intoxicated groom (or bride). If the formal marriage ceremony were to be completed while one of the parties was inebriated, the marriage could be questioned. Additionally, in most traditions the bride and groom recite the same prayer service as is recited on the afternoon before the Day of Atonement, which includes the Vidui (confessional) service. If you know a couple preparing for their wedding, offer to assist them in anyway possible. Today marks 171 years since the first official game of baseball was played on June 19, 1846. In honor of this anniversary, today’s Jewish Treat presents a brief biography of a unique Jewish baseball player: Moe Berg. Berg, who was born in Manhattan and raised in Newark, NJ, began playing baseball as a kid (when he assumed a fake name, Runt Wolfe, because most of the other kids were not Jewish). But Berg was also a scholar who earned a place at Princeton University, where he studied modern languages. A true polymath, Berg was fluent in Latin, Greek, French, Spanish, Italian, German and Sanskrit. He later learned Japanese. On the field, Berg was an unexceptional player who had some exceptional moments, such as the Yale-Princeton Game of 1923, in front of the scouts from the Big Leagues. Berg graduated and joined the Brooklyn Robins (predecessors to the Dodgers). Berg could catch. Berg could throw. But, Berg was not particularly good at hitting. This, and the fact that he frequently skipped spring training for other pursuits such as studying at the Sorbonne in Paris and getting his law degree from Columbia, made Berg a very dispensable player. Over the course of his professional career, he was frequently traded, and played for six different major league teams. After World War II, Berg remained with the CIA until 1954, during which time he tried to get assigned to Israel stating: “A Jew must do this.” The CIA disagreed. After the CIA, Berg seems to have become a recluse who lived with his brother and then his sister. He passed away on May 29, 1972. Shop at and support grocery stores that carry a large supply of kosher products. What is sin? To a native English speaker, the word “sin” is laden with concepts of Christian theology. In Judaism, a sin is more appropriately called an aveira, which means a transgression (based on the root for the Hebrew verb “to cross over”). However, even that term is an oversimplification, as there are several different types of transgressions. An avon is, perhaps, best described as an action driven by desire. A person wants the pleasure of an forbidden item or act so much that they ignore their knowledge that the action is prohibited. A pesha, on the other hand, has deliberate intention that is rooted in an urge to rebel. For this person, the action can have dire spiritual consequences. The Torah notes: “But the soul that does so [the forbidden act] with high handedness, whether he be home-born or a stranger, the same blasphemes God, and that soul shall be cut off from among his people” (Numbers 15:30). A chayt*, however, is an unintentional act to transgress a commandment. For instance, a person forgets to check that the snack they grabbed is kosher, or a person leans against a light switch and opens the light on Shabbat. One could refer to these types of acts as “oops,” since they were certainly not intentional. However, the Torah makes it clear that even unintentional acts have consequences. “And if one person sins through error, then he shall offer a she-goat of the first year for a sin-offering. And the priest shall make atonement for the soul that errs, when he transgresses through error, before God, to make atonement for him; and he shall be forgiven” (ibid: 27-28). A “sin-offering,” as it is most often translated, was offered not for deliberate acts but only for unintentional transgressions. Commentaries throughout the ages have commented as to why this is so: perhaps to remind a person to be more aware of their actions, or to serve as a statement that even an accidental act has an effect on one’s soul. *The Vidui confessional service uses the phrase Ahl chayt sheh’chah’tah’noo l’fah’neh’chah... “For the sin we committed before You...” implying that Jews as a collective did not deliberately transgress the commandments. Pay attention to the little details to enhance you Shabbat celebration. Jewish life in Arkansas began in 1825 with the arrival of Abraham Block to the town of Washington in Hempstead County. For Block and his family, however, it was a very lonely Jewish existence, as it was several decades until there were enough Jews in the area to form a community. When the Civil War began in 1861, there were approximately 300 Jews in the state, 70 of whom fought for the Confederacy. The first two Jewish congregations in the state were founded in 1866, within a few days of each other: Bnai Israel in Little Rock and Anshei Emet (which held its final service on June 11, 2016) in Pine Bluff. The state had one particularly interesting legislative impediment for Jews.. When the first rabbis moved to Arkansas, they discovered that they were unable to perform weddings due to a law requiring that a Christian minister officiate at all nuptials. The Jewish community successfully lobbied the legislature, and the law was changed to include rabbis. In the 1930s, the scattered Arkansas Jewish communities decided to coordinate and consolidate. They created the Arkansas Jewish Assembly, which helped to provide Jewish education and to connect unaffiliated Jews with Jewish organizations. It lasted for nearly two decades, but ended abruptly upon the death of its president, Jack Botnick, in 1951. Local Jewish Federations took over most of the Assembly’s services. The Jewish population of Arkansas in 2016 was, according the Jewish Virtual Library, just over 2,000. Today, is the anniversary of Arkansas becoming the 25th state of the United States in 1836. If you can, call your grandparents as a demonstration of honoring one's parents and elders. There is no common word for people with an impaired olfactory system (anosmia, for those who wish to know) such as there is for one with impaired vision or impaired hearing. Smell, however, is just as important and pleasurable a sense as sight or sound. Rabbi Zutra ben Tobiah said in the name of Rav: Whence do we learn that a blessing should be said over sweet odors? Because it says, ‘Let every soul praise the Lord’ (Psalms 150:6). What is that which gives enjoyment to the soul and not to the body?--You must say that this is a fragrant smell (Brachot 43b). 1) Asher natan ray’ach tov b’payrot/ Who gave a fragrant scent to fruit is recited when smelling any fruit, whether on or off the tree. This blessing is only recited if one intends just to smell the fruit. If one happens to smell it while eating it, cooking or just handling it, the blessing is not necessary. 2) Boray ah'tzay v’sameem/ Who created fragrant woods is recited on fragrances from a tree or tree-like plant. Tree-like is defined as a perennial with a hard stem and includes plants such as myrtle and roses. 3) Boray eesvay v’sameem/Who created fragrant herbs is recited over scents from soft plants. 4) Boray meenay v’sameem/ Who created various kinds of fragrances is recited over non-plant fragances. Boray meenay v’sameem is the most familiar of these blessings since it is included in the Havdallah ceremony after Shabbat. Like the Sheh’hah’kohl blessing over food, Boray meenay v’sameem is used when one does not know the proper blessing over the scent. Appreciate the beauty of the world with an expression of gratitude to its Creator. In Israel, there are any number of towns that identify themselves as primarily religious. There are none, however, that are as distinct or well-known for being as intensely religious as Bnei Brak. Bnei Brak is actually a historic location. A city of this name is mentioned in the Book of Joshua (19:45) as part of the territory of Dan. Additionally, the location is also mentioned in Haggadah. Bnei Brak today is a city that is almost entirely Chareidi (the term used in Israel to designate the "ultra-Orthodox), and this actually fulfils that nature of the settlement as it was when Bnei Brak was first founded. The year was 1924 (June 13th), and the settlement was founded by a man named Yitzchok Gerstenkorn. Established as an agricultural settlement, the Polish chassisim who settled there built their lives around Jewish tradition. It was even noted that one of the first buildings that was built was a Beit Midrash, a house of study, because after a full day’s labor, the men wanted to resume their learning immediately. Although its original settlers were traditional, Bnei Brak’s transformation into a the center of religious Judaism was not immediate. An important role, however, was played by some of the significant leaders who took up residence there. Rabbi Avrohom Yeshaya Karlitz (the Chazon Ish), one of the most influential rabbis of the early 20th century Israel, moved to Bnei Brak from Vilna in 1933. In 1944, after the original Ponevitch Yeshiva in Europe was destroyed, the yeshiva was brought to the city by Rabbi Yosef Shlomo Kahaneman. Drawn by the Torah leaders and the yeshiva, by 1950 the population of Bnei Brak was large enough for city status. Shortly thereafter, chassidic communities began to settle there along side the yeshivot. The first was the Vizhnitzer Rebbe and his chassidim, who came in the 1950s. The next decade saw many chassidic groups from the Ukraine and elsewhere settle in Bnei Brak. Located to the east of Tel Aviv, many of Israel’s most influential religious figures today live in Bnei Brak. Make certain that the mezuzahs on your house are kosher (properly written). The month of June in the year 1240 C.E. was not a good time for the Jews of Europe. The trouble began with a Jewish apostate named Nicholas Donin. Wanting, perhaps, to prove his loyalty and faith to the church, he sent a letter listing 35 charges against the Talmud, many of them details of texts reputedly belittling Jesus or Mary, telling seemingly lewd stories or relaying other “offensive” messages. The letter went to Pope Gregory IX and a debate was arranged at which Donin would argue his charges against four prominent French rabbis: Rabbi Yechiel of Paris, Rabbi Moses of Coucy, Rabbi Judah of Melum and Rabbi Samuel the son of Solomon of Chateau-Thierry. The “Disputation of Paris,” as the debate came to be known, was a dispute with a foregone outcome. Although the rabbis were guaranteed their safety by the queen so that they would be free to respond, there were strict limitations on what they were allowed to say about Christianity and the Church. The Chief Jewish spokesman, Rabbi Yechiel, responded well during the Disputation and was able to reply to and reframe the derogatory accusation of Donin. For instance, he argued that in the points brought up referring to Jesus, it was simply a matter of two men with the same name, and that these passages that they found derogatory were discussing a different man named Jesus. Not surprisingly, the Disputation ended with a condemnation of the Talmud and other rabbinic writings. It was determined that these holy Jewish texts should be confiscated and destroyed. Two years later, 24 cartload of Hebrew books, including many volumes of the Talmud, were brought to Paris and burnt, this at a time before the printing press, when every volume was copied by hand! So great was the loss that the date of the burning of the Talmud was subsequently marked as a fast day that was observed by many European Jewish communities in the Hebrew month of Sivan. If you are challenged about Jewish belief and don't know the appropriate answer, don't hesitate to ask a local rabbi. This Treat was last posted on January 7, 2011. Enjoy your favorite foods in honor of Shabbat. Cosmetics have been a part of civilization since...well, research cannot pinpoint where or when people started using products to paint their faces or subtly alter their appearances, but its early application in multiple civilizations is noted. One might wonder what the Jewish approach to make up is, especially in traditional circles that place great emphasis on modesty. In the name of modesty, one might think that Judaism shuns physicality and beauty-enhancing products. Quite the contrary, however, the Torah notes physical beauty in a positive way of several of the ancestors of the Jewish people (Sarah, Rachel, Joseph). The Torah even mentions cosmetics in the Book of Esther when discussing the preparation of the women for the beauty contest for the king to choose a new wife. According to several references in the Talmud, a woman’s need/desire for cosmetics is both recognized and accepted. Most fascinatingly, one Talmudic sage “Rav Judah said in the name of Rav, or as some say, Rav Hama ben Hanina: That (the verse, ‘The people went about, and gathered it [manna], and ground it in mills, or beat it in mortars...’ Numbers 11:8) teaches that when the manna came down to Israel, cosmetics for women came down as well, [based on it being] a thing that is ground in a mortar” (Talmud Yoma 75a). Every generation has its own opinion about cosmetics. Some women don’t use make up at all, while others would not step foot out of the house without it. Its untraceable origins, however, indicates that it is one of the complex questions of nurture verses nature. The fact that it is associated with manna, the basic sustenance provided by God to the Israelites in the wilderness, indicates that the seemingly superficial need for cosmetics has, in itself, a deep and valuable role to play in Jewish life. Labels: beauty in Judaism, Book of Esther, Cosmetics, Jewish approach, manna, modesty, Talmud, Torah, wilderness. Refrain from judging others on the basis of their appearance. Credit for the change in the Norwegian constitution to allow Jewish settlement is generally given to a poet named Henrik Wergeland. It is interesting to note that his father, Nicolai, was a strong supporter of banning the Jews during the creation of the constitution. Wergeland could not understand how a country espousing the Christian value of loving one’s fellow could have such an exclusionary law. He even wrote a poem meant to alter people’s biased perspective. The poem, titled “Christmas Eve,” was about an old Jewish peddler trying to protect a small, lost (Christian) child from the freezing cold after having been cast away by the townspeople. Unfortunately, Wergeland did not live to see the results of his efforts, as he passed away in 1845, while the law was not reversed until 1851. The Jewish population of Norway was never very large. There were fewer than 3,000 Jews in Norway when the Nazis occupied the country in April 1940. Many hundreds of these Jews were deported and/or murdered by the Nazis, while others managed to escape to Sweden. Today, there are two small communities in the country. One is in Oslo. The other, in Trondheim, is one of the northernmost cities in the world. June 7 is a public holiday in Norway marking the dissolution of its union with Sweden in 1905. As we head into summer remember to choose your summer wardrobe to reflect modesty and dignity. Which is more “treif” (generic term used for non-kosher foods): a McDonalds’ burger or a ham sandwich from the corner deli? The answer is neither. Non-kosher food is non-kosher food. A burger prepared with the meat of an improperly slaughtered cow is as much of a problem from the perspective of Jewish dietary law as is the meat of a pig. Why then does the world so strongly identify keeping kosher with abstaining from pork products? On a sociological level, perhaps it is because pigs are a common and cheap source of meat, being adaptable to many climates and having an extremely versatile diet, and so, Jewish abstinence from pork was extremely noticeable. Beyond being unique in its non-kosher status, however, the sages noted that the behavior of pigs was like one who wished to be deceptive. “...When the swine is lying down, it puts out its hooves, as if to say, ‘[See my split hooves,] I am clean’...” (Midrash Rabbah - Genesis 65:1). This species is therefore psychologically identified with all those who wish to harm the Jewish people, while pretending to be its friends and supporters. This Treat was last posted on June 16, 2010. If you have a desire for bacon, try a kosher substitute such as beef fry or turkey bacon. In July 1944, it was announced that a new Liberty ship under construction was to be named for Benjamin Franklin Peixotto (November 13, 1834 - September 18, 1890). The descendant of a distinguished Sephardi family - his grandfather was the cantor at New York’s Shearith Israel Synagogue and his father was a leading figure in medicine - Benjamin Franklin Peixotto earned his own national distinction as a United States diplomat. The Peixotto family moved several times from New York to Cleveland and back, and Benjamin Peixotto remained in Cleveland upon reaching adulthood. His first career was in clothing retail, but he spent a great deal of his time and energy on Jewish communal work. In 1855, Peixotto was a co-founder of the Hebrew Benevolent Society and, eight years later, he helped found the first Cleveland branch of Bnai Brith. Through his work with Bnai Brith, Peixotto was instrumental in the creation of the Jewish Orphan Asylum. He was elected Grand Sar (leader) of Bnai Brith when he was only 29. Peixotto was also a founder and superintendent of Congregation Tifereth Israel’s Sunday school. During the 1860s, Piexotto became a friend of Stephen A. Douglas, under whom he studied law. In 1866, Peixotto left Cleveland to practice law in New York, then headed briefly to San Francisco before being appointed Consul General to Romania by President Grant. Peixotto went to Romania with a Jewish agenda. In addition to his normal diplomatic responsibilities, he worked to better the situation of Romanian Jews, who had attained civil equality in name only and were greatly persecuted. He helped create a Bnai Brith-like organization, the Society of Zion, and played a critical role in the Berlin Congress of 1878, which granted Romania sovereignty. Following a second diplomatic appointment, as consul in Lyons from 1877 until 1885, Peixotto returned to practicing law in New York and being heavily involved in Jewish organizational life until his passing in 1890. Avoid anger by judging others favorably. The Torah is full of fascinating, unexpected and, some might say, poetic connections. Many of these associations are not obvious because they are spread throughout the many texts of Judaism. But, the sages wisely recorded them in the Midrash (a compilation of oral legends and tradition). One intriguing example is the arrangement of the camp as the Israelites traveled through the Wilderness. There are numerous explanations for why specific tribes were grouped together and for the specific placement of the different Levite families. One Midrash in Numbers Rabbah, however, explains the specific positioning of these groups by describing the conditions of their geographic positions. On the western side of the camp were positioned the Gershonite Levites, who were responsible for caring for the tent, its covering and the screen for the door of the Tent of Meeting. About the west, the Midrash notes that it as “the region of storehouses of snow and those of hail and cold and heat” (Numbers Rabbah 3:12). Encamped on the south were the Levite descendants of Kehot, who bore the ark in which the Torah was held. The south, according to the Midrash, “is the source from which emanate the dew and rain and bring blessing to the world...[and] the rains depend entirely upon the observance of the Torah” (ibid.). The north is marked as a region “from whence darkness goes forth to the world” (ibid.). Here were encamped the Merari Levites, who carried the wood, the boards of the Tabernacle, its bars and its pillars. The Midrash refers to darkness as idolatry. The Tabernacle was intended to serve as a direct counter to idolatrous impulses. Finally, the eastern side of camp was the position of Moses and Aaron and the kohanim (priests). The Midrash declares the east to be “the source from which light goes forth into the world” (ibid. ), thus correlating sunrise in the east to the leadership of Moses and Aaron. In addition to any lessons that one might learn from this Midrashic discussion, it also provides a fascinating glimpse into the beautiful connections that one can find through the serious study of all parts of the Torah. Bring the joy of the just completed Shavuot holiday into your Shabbat celebration.